Windows Messenger is no more so there’s no point in installing it. Windows Mail has been replaced in basically every way by the more functional Mail app built into Windows 10. 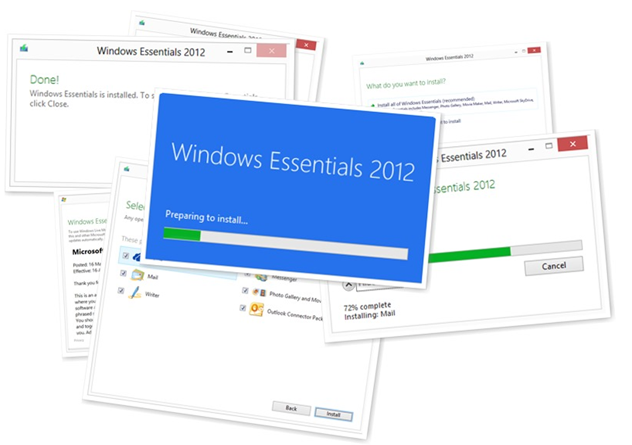 Support ends tomorrow for the suite per https://support.microsoft.com/en-us/help/13785/windows-essentials-2012-release-notes. I’ve always loved this tool. Does a great job of organizing & touching up & editing photos.